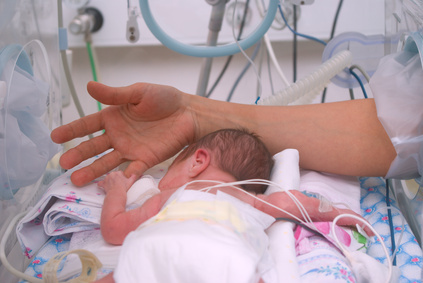 premature babies weight can be worrying for a new mum especially if baby was born around 23-25 weeks at 1lb or just over or in kilograms at 700 grams. premature babies wont weigh a lot especially if delivered during the 2nd trimester of pregnancy.Its because the last few weeks of pregnancy this is the time baby lays down fat and starts to gain approx an ounce a day during the remaining few weeks of the third trimester.The second trimester is about growing in length and organ maturity. What can happen in pregnancy is the placenta shows a problem and if baby isn’t growing very well or has stopped growing altogether, then sometimes baby is better being delivered early thus born premature. The weight of one premature baby can vary from another as the placenta failed to work as efficiently as it would normally do. can a twin premature birth result in one baby being born weighing more than the other ? yes one baby born premature can weigh 2lb and the other baby 3lb as both will be fighting for nutrients in the womb and the space will be reduced due to two babies occupying the womb and only one placenta to work for both babies. If a premature baby leaves the hospital and weighing baby shows reduced weight gain at regular weigh ins the neonatal team may prescribe a change in milk formula higher in calories so babies growth can be monitored better.